In the case of someone who is facing a terminal illness or the threat of death, dreaming of your own funeral is natural and literal. Most people are not in a situation that would create a dream with such precise content. For those who are not facing imminent death, such a dream may be more symbolic. According to Dream Moods, one of the most well-known online dream dictionary websites, a dream of your own funeral signifies closure. So, if you are longing for closure or need it for a certain situation, or if you have recently experienced closure, this dream may reflect that. The closure may indicate a specific situation is coming to an end. Another possible meaning is the repression of feelings or emotions that need to be acknowledged. For example, according to Tony Crisp of Dream Hawk dictionary, watching your own funeral indicates the feeling there is something in your life that is dead or at a dead end. Likewise, if you see yourself being buried in a dream, it may suggest you need to leave an old way of life or undesired personal characteristic in the past. Small variations within the dream can also change the interpretation slightly. For example, if you are observing your funeral by floating above it, the dream may have a more positive message for you. According to DreamMean, a floating dream is seen as a sign of victory. With a personal funeral dream, there is closure present but you may be victorious over the situation. To be buried during a dream of your own funeral would also change the interpretation. To see yourself buried shows freedom from a negative issue. Observing the burial at your own funeral in the dream proves to be a positive experience. If you appear to still be alive when buried in the dream, the meaning becomes more foreboding. This dream indicates you feel trapped in a situation. If there are no other details besides attending your own funeral, the interpretation remains as a closure or a repression of an aspect of yourself that need to be addressed. There are many possible theories behind why people dream as stated in Psychology Today. There are a few theories acknowledged today that explain why a personal funeral dream may occur. The mind's need to retain information from the situation that is ending or being repressed. By transforming the situation into a dream of your funeral, the mind is absorbing information before processing it. Moods and reactions to stressful situations cause biochemical changes in the body. These changes alter neural responses and create a funeral dream so the dreamer can work through emotions. Dreams are a way for the brain to process information it has experienced throughout the day. A situation that is being repressed or needs closure is formed into a personal funeral dream to represent the end of the situation. Theory states the dreaming process may protect and rejuvenate the brain. A funeral dream may be a way for the brain to analyze the situation and release information, letting the matter rest for a time. While there are many theories to why you dream, there are still no definitive scientific answers. The history of studying why people dream is extensive and more information will become apparent with further study. Dreaming of your own funeral from a psychological viewpoint could be your mind's way of creating its own psychotherapy. Confronting situations while in a dream state is most often a way for the mind to deal with new or difficult situations. The process of analyzing dreams can open the door for answers to waking problems. Dreaming of your own funeral can be stressful and fearful for many regardless of what it may mean. If the dream is repetitive or disrupts sleep patterns, it can become a more pronounced issue. Learning what is causing you to dream of your own funeral may be helpful to resolve the situation. Ignoring an aspect of yourself that you do not want to deal with. For example, someone who does not like the that they are highly emotional represses their emotions instead of working through them. Having fears of thoughts that overwhelm you, such as your health or financial problems. Because they create fear, the repressed thoughts result in a funeral dream. A strong desire to bury the past and move on will lead to a dream of your own funeral. The desire represents a closure just as the dream does. The perception of being overwhelmed by situations around you will contribute to the occurrence. A need to work through, end, or move on from the troubling situation will cause the dream to occur. In rare occurrences, dreaming of the future can be a foretelling of what is coming. As stated in the article, What Do Dreams About Death Mean, this is very rare. Most dreams of your own funeral are caused by not dealing with experiences in your everyday life. Before considering turning to medical professionals for help with problematic dreams, there are a few things you can do to avoid them. As reported by Live Science, if a nightmare has become a frequent repeating dream, making up a new ending in your mind before falling asleep may alter the impression. 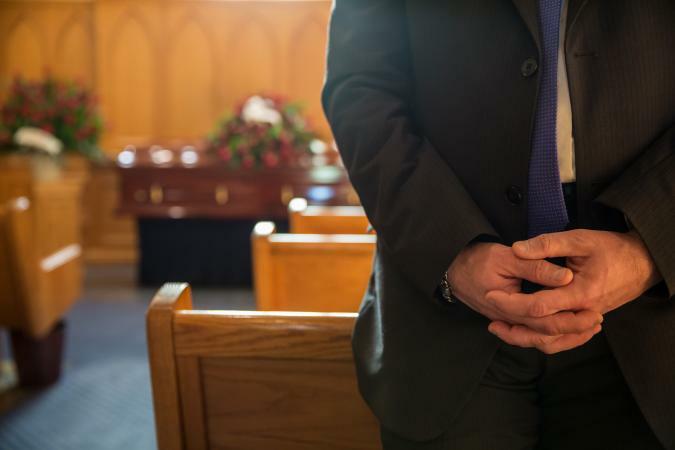 If you want to stop dreaming about your own funeral, following these suggestions should help. Analyze your dream to find out what it may mean to you personally. Try to correlate aspects of the dream with issues that are happening in your life. Make sure you are finding solutions to problematic situations in your life and are not repressing how you feel about them. There is nothing wrong with looking outside yourself for help to find answers to the issues you face. If a traumatic situation has just ended in your life, take the time to look forward to what will come next. Change can sometimes be very rewarding. If you focus on what has ended and don't glimpse the future, the dream may continue. Finally, make sure you are also taking care of yourself physically. Good sleeping habits are just as important when dealing with the stressful issues. Make sure you are getting enough rest and have a regular sleep schedule so issues causing the dream can be resolved. Dreams can be important tools to use to deal with stress and anxiety and work through rough situations. 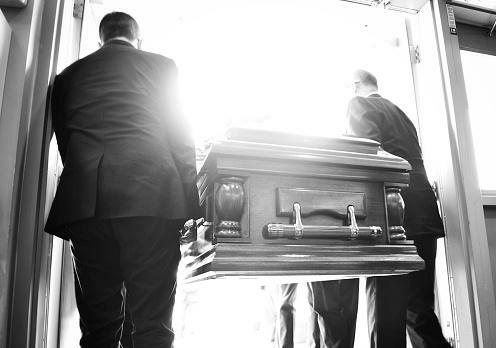 Funeral dreams, like many others, may not be as frightening as they first appear. Making use tools like dream dictionaries will ease the fears associated with dreams of death and dying.